These ghost stories were shared on Facebook. A friend of mine mentioned that a few years ago a realtor was getting ready to go out the front door at the Jonathan Pulcifer house on Summer Street, when he noticed a stack of old publications sitting on the bottom step, and oddly enough, on top was an old article about him when he was a younger man. Something drew his attention to the head of the stairs, and there was the ghostly form of an old woman, staring back at him! 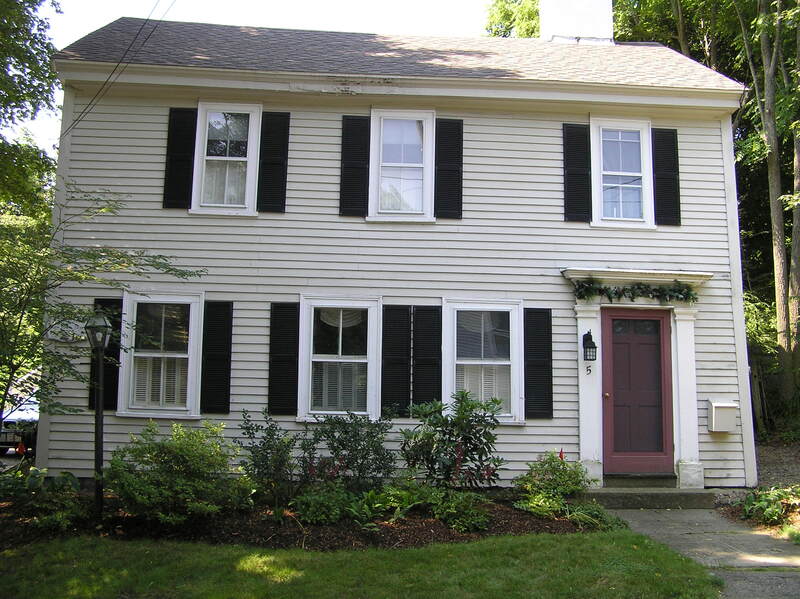 Many people mention Bill and Janet Craft’s home, the “Wainwright-Treadwell house” on East Street. An old story is told of a beautiful young Treadwell daughter who saw the ghost of her deceased evil sister in the well, and died of fright. Bill and Janet were careful not to frighten their kids with the stories, but a couple of odd things happened anyway. Soon after moving in, a lamp fell off a table in the “haunted room” in the middle of the night. They learned that this was apparently a tradition for new owners of the house! Their young son came into the kitchen one day and asked why there was a bloody skeleton lying on the floor in the front room by the fireplace! The Widow Fuller house on Summer Street, built in 1725. And there’s the old Johnson house on East Street where a captain kept his mentally challenged daughter in the attic. The Widow Fuller house on Summer Street has some spook stories too. 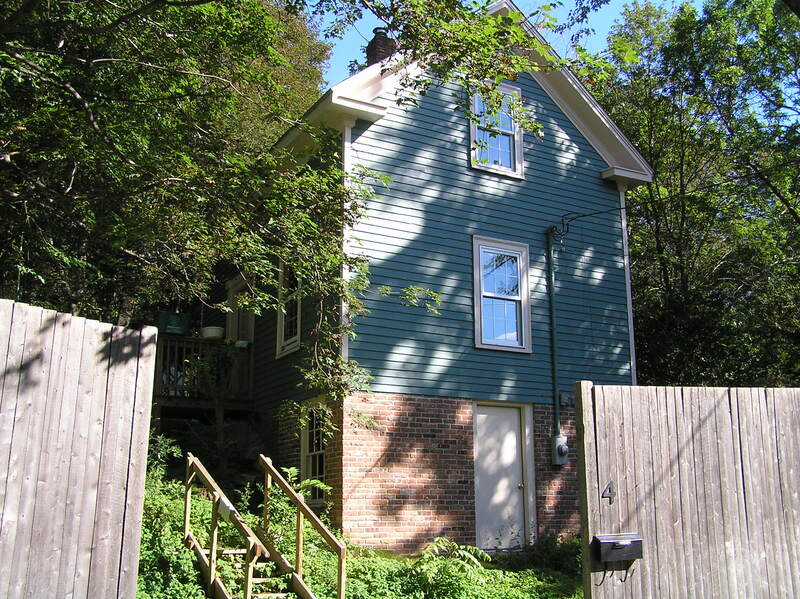 A couple of people mentioned a house on Ryan Ave. Mrs. Rice at Turner Hill has been seen many times! The first owner of the building at 4 Elm St, constructed in 1847, was Benjamin Kimball. He is shown as the owner in the 1856 and 1872 maps. In 1884 the owner is Thomas E. Condon. The owner in 1910 is Mrs. Condon. During the Great Depression, this building was the “Free Store” where poor people could get basic provisions. Bob Kay says, “The little gift shop next to the police station is haunted. I watched a tourist take a picture of an item on the shelf in the center of the store. In the background there was a boy about 10-12 in old clothes watching. When she looked up to check her picture there was no boy there. Who ever she is she still has the picture. I saw the picture and the boy was as solid as you and I and there was no place for him to hide. 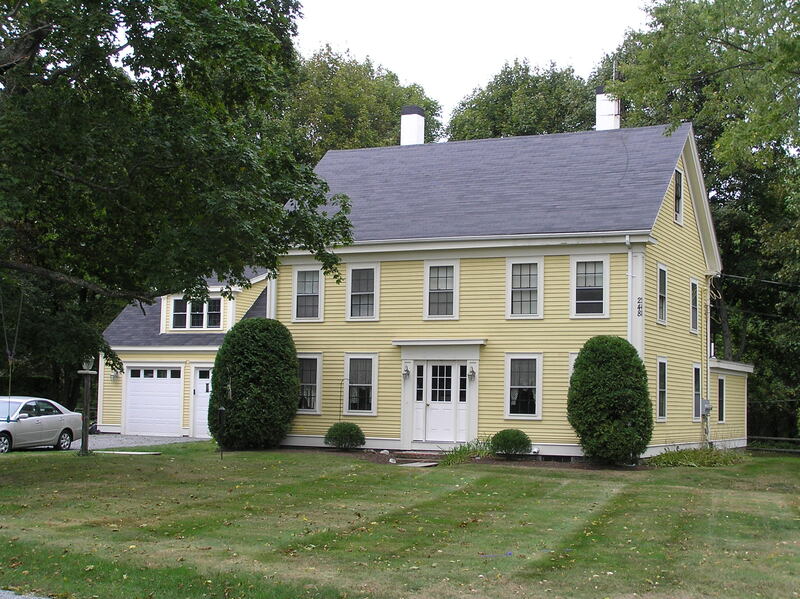 The Poly Dole house on East Street was built in 1720 and is where John Updike lived for a decade. The Polly Dole house. Haunted! Yes, indeed! There is a woman in white that only stays upstairs. A Patriot soldier was observed walking down walk down the stairs and into the living room. An upstairs bedroom was the habitation of a young girl approximately 12-14 yrs. old. She had blond braided hair, in Victorian garb (High collared white blouse that buttoned down the back, long skirt, and shoes that laced up. 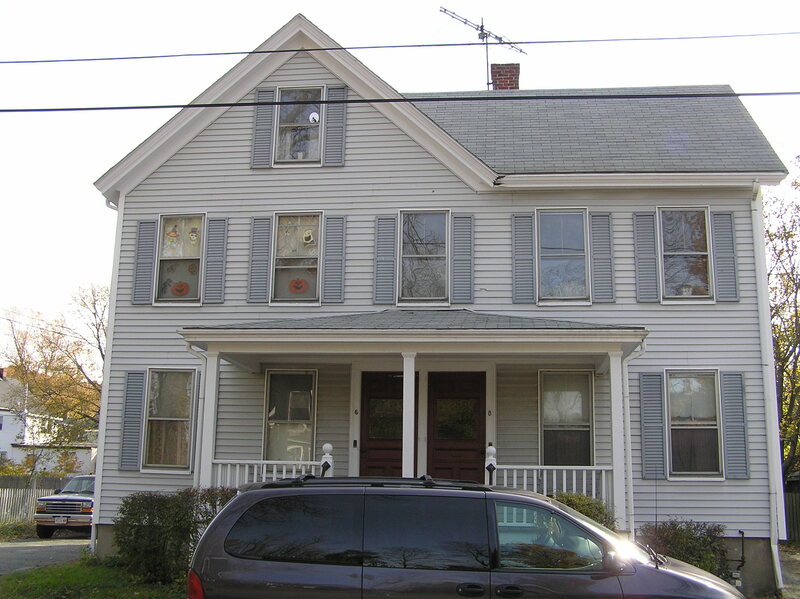 The “Aaron Jewett House,” a brown saltbox on outer High Street just before the Rowley line is said to be haunted. The attic door sometimes opens and closes by itself. The Corporal John Foster House, corner of Linebrook Road and Rt. 1 was built in 1790. 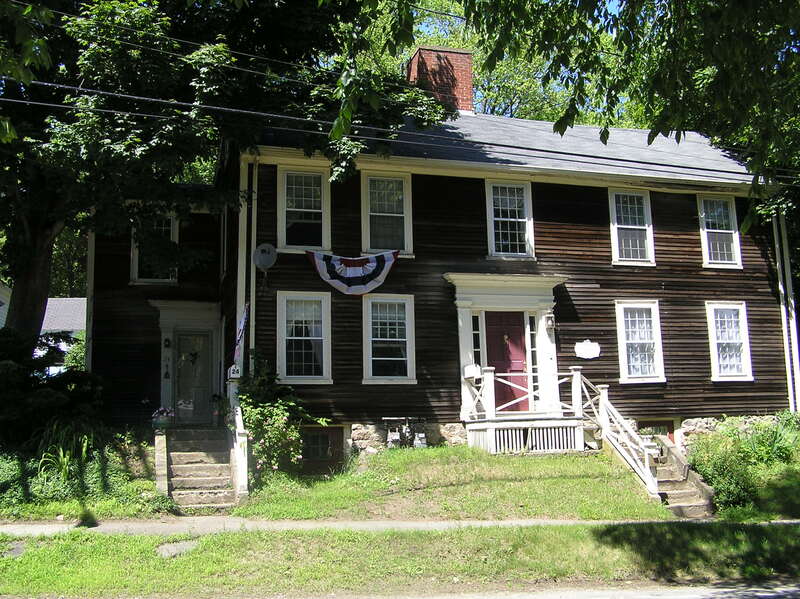 The Sherborne Wilson – Samuel Appleton house on South Main Street was built in 1685. JoAnn Wentworth wrote that the Sherborne Wilson-Samuel Appleton house on South Main Street next to the Choate Bridge is haunted. “I lived in one of the front apartments and Sarah Appleton was very active to both myself and my neighbors across the hall. There were rocking chairs rocking, lights on and off,and once via Ouija board she told us she died of a “crag”….one definition I found was describing a respiratory infection. 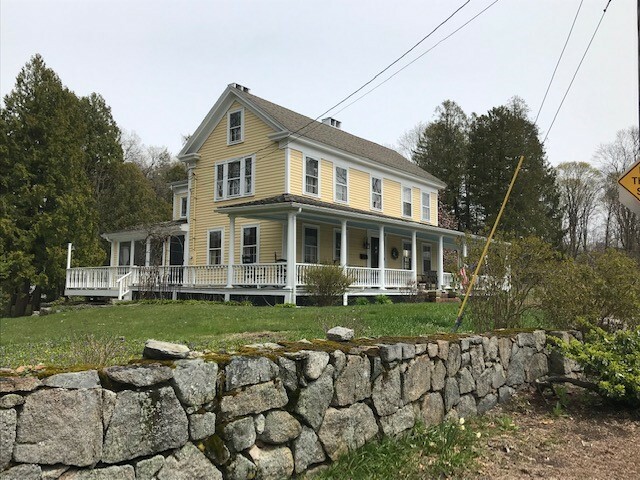 A sea captain named McMahon built the large late 3rd Period (Federal era) house at 2 Labor in Vain Road on the corner with Turkey Shore Road in 1832. Some people say the house is haunted. In 1969 the Ipswich police received a call about a domestic dispute between a couple residing at 5 Spring Street. As they ascended the stairs to the second floor apartment where the couple had been arguing, they were met by a barrage of bullets from the man, who barely missed them. 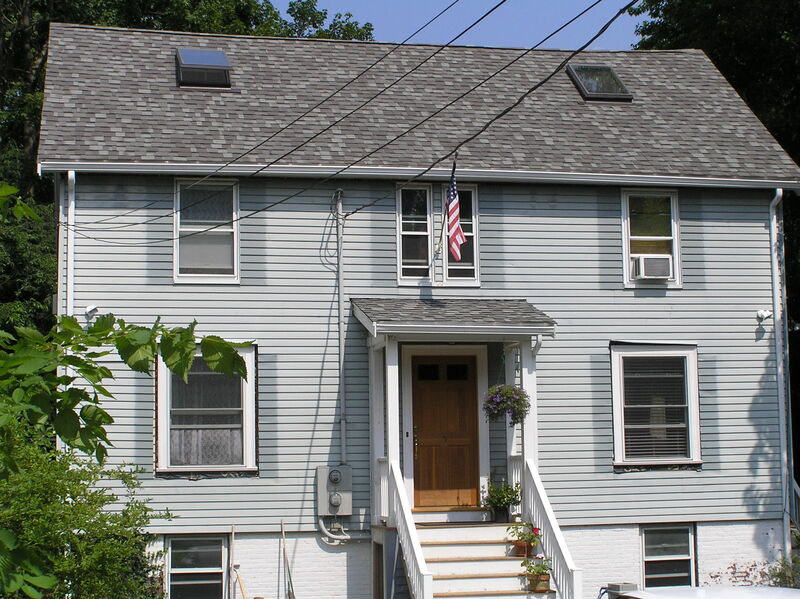 The “Henderson” house at 5 Spring Street in Ipswich, site of a shootout with the police in 1969. The Phillip and Elizabeth Lord house at 85 High St.
Susan S. Nelson: You can add 85 High St. to the list. The Philip Lord House according to MACRIS, but more properly the Elizabeth Kimball Warner Lord House, as she was the heiress and it was her father’s land. We experienced poltergeist activity not long after we moved in as well as other sightings. After a while they stopped- guess we were deemed acceptable owners! 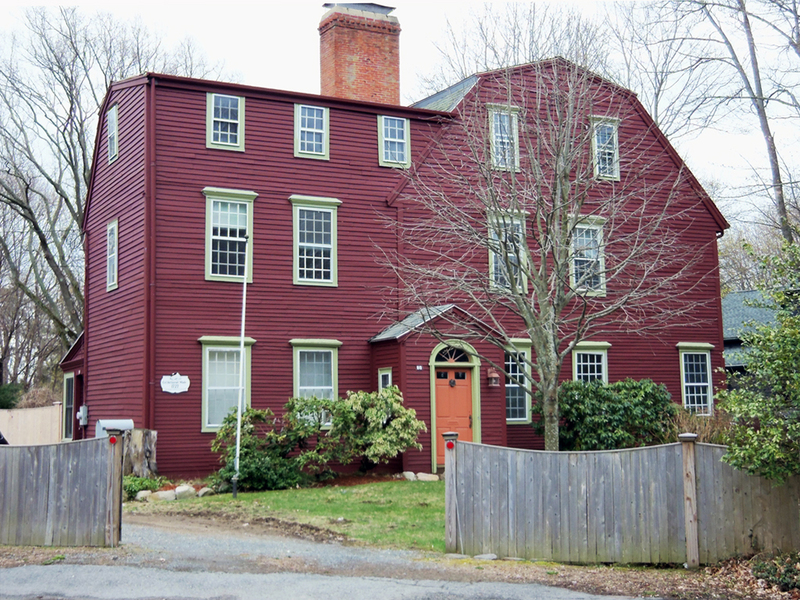 The oldest parts of the John Brewer House at 82 High Street in Ipswich were built between 1680 and 1690 by John Brewer Jr.
David Thayer: I used to house-sit for friends at the Col. Wade house, at 88 County Rd. I would sleep in the front, south bedroom, facing the south green. My great-great grandparents are buried across the street, in the South Cemetery, and the first night that I spent in the house, I went to bed thinking that I’d be sleeping just across the street from them. Just as I was falling asleep, I sensed that an intruder was in the room with me. I was just about to drop off and had to struggle to awaken, yelling, “Who’s in here!” A figure of a man, was standing at the foot of the bed – just a form, a smoke-filled, but solid shape, with no features – and from another era. I always think that his hair was tied in a colonial pigtail, though he was facing me, and I couldn’t see behind him. He was holding a small wreath in his left hand, which was down at his side. All In the same instant that I was trying to struggle awake, yelling, the figure glided a foot closer to the end of the bed, while raising and extending his arm with the wreath and then, was gone. It wasn’t frightening and I dropped right off to sleep. Mulling it over, the next day, I thought, at first, that the event had been a vivid dream, experienced, just before falling asleep, but then realized that I was awake when I saw the figure. I spent many nights in that room over several years, and never saw the figure again. The owners said that they’d never seen a ghost in the house. Pretty sure the Lummus House is haunted in the section between where the house used to be divided.